Multiple ideas for the future! (A BIG OL' LIST!!!) | Cattails: Become a Cat! Got an idea? Let me know! If I agree to it, I might just add it here! Or, you can even post it in the comments down below! vvv Let me know which ones you agree on within my list if you agree to any of mine, I'd love to hear feedback and ideas! Just remember to keep in mind that we're thinking openly here, not about how difficult things could be if it were added to the game! Thanks! A. Frequently I'll run into some random NPC cat in my colony/group/clan who mentioned the worry of getting sick, which always gave me the idea of the challenge of being sick! B. It'd be interesting if in a storm, fall, or even winter with the colder seasons you could get sick. Or even if a sick cat (On your side or another.) is nearby you and gets you "Infected". This could be indicated by maybe a green particle effect, letting you know they have a cold and it might spread to you if you brushed past them, were clawed by them, or even interacted with them. D. Getting "Sick" does what to me? Well getting sick could give you something of a "Debuff" along with the sick particle effect indicating you're not well. You can be slower, perhaps feel more queasy so maybe eating food is harder like... You're hungry more often, or maybe you're not all that hungry at all which could make your cat uncomfortable with a belly ache seeing it's less of a buff than a debuff? So maybe it effects your health, or makes your hungry flash an eerie green than the soft green? I'm not so sure how we could make hunger a bad thing without it rapidly going down, but i'd love to hear peoples ideas of how a cat could get sick and effected by it! 2. Giving random NPC cats wondering around, items. A. I don't know about you guys, but I get a little upset when a cat says they're looking for herbs, or could go for a rabbit or something when you have some in your inventory- and yet you're not allowed to give them a gift! These cats are cats too! Why should this be limited to strict colony/group/clan cats? B. I think along with giving them items, that it'd be cool if this were able to bring your friendship up with them, or even increase the likelihood of you running into that exact generated cat again. While this may take up more memory from the system, like stated above, I'm not really bothering with the "Difficulty" on things yet. Just getting the ideas out there! C. Perhaps, along with friendship, you could even become lovers with these cats. While this might be redundant due to being able to customize three separate cats now in your own colony/group/clan, this idea of mine is old and yet I still think pretty cute. More friends outside of camps! 3. Your mate following you on adventures. 4. Your "follower"(s) being able to heal themselves. A. While kittens are currently all you can bring with you, if mates were allowed to come with you as well making a max of two followers, then this would include them too! But i'm tired of seeing a kitten pick up an herb, then hand it to me if it could heal them and they're on low health. Yes, I realized you can use the "Heal Allies" skill to heal them, but it's only a little bit at a time every minute, and it'd be nice if they were given a smarter AI to register if they should be using an item before giving it to you. B. Items like Lavender or Valerian can still be handed to the players cat without being used, even if you're being attacked or in an area you claimed but it's being contested, so the player can choose if they wanted to use said item there or then, or not. But a wounded cat that's bleeding, scratched or all banged up handing you a healing object is a little... Weird. If they learned to pick herbs and keep their eyes peeled for them, shouldn't they know what they do? 5. Changing eye color Token. The Dev's have answered our prayers! While it's not a renaming token, Elli (The cat who visits the temple on every 3rd day of the season) will now let you rename your kittens! Thank the forest guardian, huzzah! 8. Building on top of Cattail's story. A. 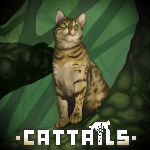 For anyone who has played Cattail's all the way through to the current content, you'll know you were an adopted kitten whom was mysteriously abandoned and found by Coco who teaches you how to survive before leaving you in your choice of Colony. (Or if you joined when I did, there was no option and you were dumped in the Forest Colony. x'D) As you survive and time passes, you make relationships and Coco lets you know about romance, how to customize your den, and even later asks you for personal help after they trust you. Leading you under the Sacred Temple where you learn of how Coco got there, in a similar situation like yours. They too were left behind where the Forest Guardian saved them, but since then they disappeared. Going through puzzles to get stones for pillars, then collecting rare objects for each one to bring back the Forest Guardian. After this, the Guardian thanks you and allows you to make your own Colony, which brings us to the current content of making one however you'd like, where ever you'd like, and continuing to survive like that if/as you please. -But what was all that about being abandoned? 10. The small chance to fall into the river when it's winter, and ice is covering it. A. One of my kittens once mentioned they were afraid to stand on top of a frozen lake, and even said, "What if the ice cracks/breaks?" And this gave me another idea for a threat in Cattail's. What if that COULD happen? Or there were random spots where the ice was another color to indicate thin ice? This could be pretty cool, especially since your cat will slide forward if you're running too fast on ice when it's winter. What if, due to it being harder to control your cat, you could slide on top of thin ice and it could crack? B. One way to avoid this could be a better swimming skill, so you could try and swim out, otherwise your cat would act stuck as if they're drowning. C. Smarter AI's would be cool here too, so if you happened to be in a zone you owned when this happened... One of the randomly wondering NPC cats could rush over and try to save you? But if you don't own the zone then you have a very unlikely chance someone would save you, threatening for a game over/death screen where you could ether "die" (Give up) or lose your stuff and heal over time. 11. "Heal Allies" To heal you too. 12. A belly at 150% heals you over time. A. Another self explanatory one, you can now eat up to 150% percent, becoming "Purrfect". This also gives you a 10% movement speed boost, but I think we can make it a little sweeter... If the player manages to catch and eat this much food, then as long as they're "Purrfect" they should gain a healing over time health boost. Considering this percentage doesn't last very long without you constantly stuffing your face full of prey, I think this is pretty fair. ;3; Especially with how many threats i'm suggesting, there's gotta be a balancing way on how to keep healthy and safe, right? 13. Having more kittens, and/or have them interact with the colony/group/clan along with a camp expansion. B. Cats tend to have three to eight kittens in a litter. (Two to five being the usual.) With two to three litters scattered in one year. 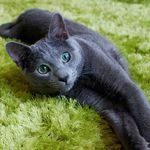 While we clearly wouldn't want an overbearing number, having only a max of up to four kittens for our entire cats lives is a little... Odd. It'd be nice if every three or four game years if the options came up again, depending on how many you had. So it'd be awhile but will be frequent enough. Or perhaps the game still has a limit on how many litters you can have (Like two or three) but it's still enough to give players that "Satisfied cat" feeling than just having one litter and ending it. Cats aren't human, naturally, they tend to have more babies multiple times compared to what humans commonly do, having one or maybe two kids with the rare exception some people go overboard. For a cat, this is perfectly normal to have quite a lot of little paws running around multiple times throughout their lives. So why only just one litter that never moves out of your den and can be an adult for- well, forever?.. C. Maybe if Colony/group/clans camps could grow out of one small area? It'd be cool to see them scatter out, and maybe even take up roles. ;3; Maybe your adventurous kitten shows interest in the towns guard (Ether as a mate, or just wanting to be like an apprentice. ), maybe the quiet or artistic one would like to be a medicine cat/doctor? Etc. That'd be neat as well as give your colony/group/clan as well as your little family more life. D. Some other players have suggested that your kittens can take your mates old den, or, if in a custom colony, you can place dens (for what i'm assuming.) each kitten. While this can get sorta crammed, it's why I mentioned in C. that perhaps if colonies/groups/clans got too big, we could maybe spread out more. I realized the Forest Colony, Mountain Domain, and Mystic Colony all have two locked "Areas" that will permanently always be theirs. I also noticed these "Second" areas besides their camps, are areas NPC's will go. (Scout for Forest, Leo for Mountain, and Savannah for Mystic.) Perhaps, as long as the area is one of the four connected zones to where the player decided their camp should go, we could gain a new token from the Forest Guardian after our Colony/Group/Clan has grown far enough out. For example: The player has bought all possible dens, had kittens, watched them grow into adults, etc. so there's quite a lot of cats now populating their home, not including the random NPC's wandering around outside. (Maybe Coco could also finally get a den than never sleeping and standing outside your den for years on end.) This could trigger the game into deciding you're ready for an expansion? And in that expansion, you could even set additional dens should the player choose to do so. Oh my goodness, your ideas are awesome! The one thing I want most is the ability to have more than one litter of kittens. At least two in total! I understand Cattails is kind of realistic but kind of not, but having more than one litter of kittens adds more realism. After easily getting my cat married and having kits (also getting them to level 10) I found myself, well, bored with them. I wanted them to move out so I could interact with them in a different way. It'd be so cute to have them in their own dens, and maybe even talking about other Colony members. I find it quite odd that, after having them for an unlimited amount of years, they don't move out of their parent's house (den in this case)! I think it would be cool if your kittens could move into your mate's old den, or maybe if you have a custom colony you can build kitten dens. Maybe not having to start over on a new file if we die? And we keep the pelts, like in Untoldtales, so we can play generations. I'd love to do that. Obviously, if we start a new file we'd have to buy everything over, but, that'd be fine. I would just want to be able to play through a family! Maybe the characters progress to like Leo gets a mate, has kits, and passes on, Savannah has kits and dies during birth and the father is unkmown, etc. This would give the game a realistic vibe to me as well. Tornados, blizzards, floods, freezing temperatures, incredibly hot days, etc. I would like more diversity in the weather. More prey? Maybe even predators? Hawks, falcons, Ravens, finches, robins, etc. Maybe rats near the old cottage. Some Opossum and Skunks. If you get sprayed interacting will impact a relationship negatively and you will have to get lavender or visit Doc to get 'cured'. Maybe in addition to the road getting finished, twolegs will occassionally stop and try to capture the player if seen. Also, i dont know why, but i think all cats should be marriageable? Idk why but i think my cat would have taken more of an interest in Coco over, say, Scout or Lyrus in Forest colony. [Arthur and Pebble in Mountain, and also Slip and Nil in the Mystic] an obvious gender flag? I hate being unable to properly show my character is a Tom or shecat. Kiri, I don't think there should be a gender flag for your cat. Like for example, if you want Scout as a mate and you see them as a male. However, if your cat is a straight male, you're not going to be able to date "him". I also do not agree on making the NPCs with portraits die. Maybe that could be in a separate mode, but otherwise, no. There’s no change if it’s only the player’s gender that’s set, either way the player would have a certain gender set for their character, shown or not. Though if only your cat gets a gender, it seems odd. I found this still growing dust from last May when I've returned to the game. To revive it, I added a REAL spoiler warning to the chunk of ideas that mention the end storyline!